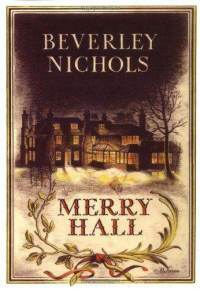 When I picked up Merry Hall by Beverley Nichols, I was incredibly excited. Whenever I’ve asked about for recommendations of good gardening books, Nichols is invariably mentioned, either for the Merry Hall trilogy or the earlier Down the Garden Path, both semi-fictional chronicles of his gardening efforts at his homes. And I was indeed delighted and amused by Nichols from the first page to the last, though I came away with no great fondness for the man himself. As it is with comfort, so it is with taste; to linger in the Tudors is merely a sign of aesthetic adolescence; one must more on the eighteenth century, and if one has any sense, stay there. Nichols’ interest in Merry Hall is solely in the place itself. He wants nothing to do with the neighbourhood and his neighbours, persistent though they might be at trying to befriend him and get their hands on the excess produce from his excellent vegetable garden. Those rare moments when he either admits the interlopers into his home or finds they’ve breeched the gates themselves, he is of course subjected to a passive aggressive lecture criticizing all the changes he has made. Because the neighbours who best like to visit are always the ones who new the old residents best and remain loyal even to their misguided and offensive garden designs (though Nichols is offended by an endless list of things). If you are in a position to plant a wood, and if you refrain from doing so, you must be, ipso facto, of a bleak and sullen disposition. You are to be shunned. It is arguable that your very existence should be made an offense in law. To own a plot of land – to have enough money to plant that land with lilacs and maples and pines and pears, and not to do so, but to spend that money on something horrible like a mink coat…it is indecent. Who wants to see you in a mink coat? Nobody. He is also horribly misguided in his love affair with that most vile plant, the lily (his infatuation with the lilies already growing at the house are part of what leads him to purchase it), but as he is right-thinking in most other gardening matters (except for his passion for displays of tiny cut flowers), he may be forgiven. He is an opinionated narrator but then I am an equally opinionated reader. 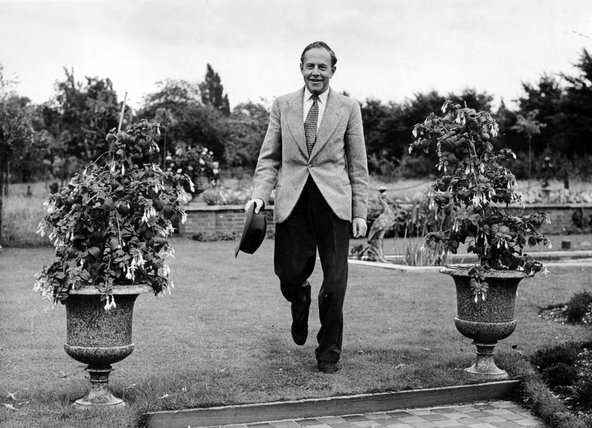 I did shudder whenever he described his cats, ‘One’ (a Siamese – I find them only slightly less repulsive than lilies) and ‘Four’, but his gardening descriptions are excellent and his critical humour irresistible. As we all know, the only way to plant daffodils is to pile them on to a tray, and then to run out into the orchard and hurl the tray into the air, planting them exactly where they fall. There may be other, less orthodox methods; if so they should be spurned. The tray, the ecstatic gesture…that is the only sure road to success. Some fall in love with women; some fall in love with art; some fall in love with death. I fall in love with gardens, which is much the same as falling in love with all three at once. 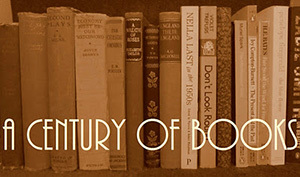 I wonder what other readers read in the Autumn, even books they’ve read before and return to each year at this time? I laughed my way through “Merry Hall”…and the three that followed. I am totally in love with Beverley Nichols and was thrilled to find on a trip to London a couple of years ago a hardcover copy of his book “Twenty-five” a collection of anecdotes of people he knew. Delicious. Droll. I will put MH on my list for the long autumn and winter ahead. Delightful review! I have a rather ratty looking copy of A Thatched Roof that I bought for a pittance not too long ago, thinking I would get to it soon. Of course, that hasn’t happened as yet, and here you are, teasing, with Merry Hall. Nichols is, as you say, entertaining, and there are those bits and pieces of gardening wisdom sprinkled in with the wit that makes me love him. I enjoyed your review. I’m almost done and completely agree that though he’s very amusing and entertaining, I can’t say I would’ve liked to’ve known him personally!